Spurred by social media and community rallies, the shooting death of a 17-year-old Florida youth has become the latest flashpoint over how young black men are perceived in the United States. Trayvon Martin’s death Feb. 26 at the hands of a Neighborhood Watch leader in this small, gated Florida community has rippled through many corners of the nation’s justice and political system and raised questions about the relationship between the black community and police in small towns. •Sparked an investigation by the U.S. Department of Justice, the FBI and the Florida state attorney’s office. Trayvon Martin was talking on his cell phone when he was shot and killed in February. •Amassed more than 600,000 signatures in an online petition calling for charges to be filed against George Zimmerman, the Neighborhood Watch captain who said he shot Martin. Zimmerman has not been arrested or charged with a crime. The case has resonated for many who say Martin died because of stereotypes of young black men as violent criminals. The shooting is already being compared with high-profile and historic civil rights cases — for instance, a doctored photograph has circulated throughout many social media sites that compares Martin to Emmett Till, a young man lynched by white men in 1950s Mississippi. The tragic case played out in Sanford, population 54,000, about 30 minutes north of Orlando, when Martin left his father’s home to buy candy and iced tea for his little brother at a nearby 7-Eleven. He was on his way back in the rain when Zimmerman, 28, spotted him. Zimmerman was armed as he patroled the area in his car in response to several break-ins in the community. Zimmerman called 911 to report a suspicious person, according to the call released by Sanford emergency dispatch. Against the advice of the 911 dispatcher, Zimmerman followed Martin, according to the 911 recording. The two men fought and Trayvon Martin was left dead. Zimmerman told the Sanford police that he shot the teen in self-defense because he was fearful for his life. The police have said there is no evidence to contradict Zimmerman’s claims. Police say Zimmerman was bleeding from his nose and the back of his head. The fatal shooting touched a chord of community outrage in Sanford on Tuesday night. The killing was “a senseless murder as far as we are concerned,” Seminole County NAACP President Clayton Turner told a capacity crowd at the start of a town-hall-style meeting at Allen Chapel AME Church. Clayton said the Sanford city manager and mayor were unable to attend because they had been “summoned” to Washington by Attorney General Eric Holder. Before his son’s death, Tracy Martin warned son Trayvon that being a black man in America could be dangerous. Those warning messages have echoed in Tracy Martin’s head since his son died. Martin family attorney Benjamin Crump said Tuesday that the young man was on the phone with his girlfriend when Zimmerman followed and approached him. He said the 16-year-old girl told a harrowing story that he says shows Martin did not attack Zimmerman. Crump said the girl told him that she told Martin to run. Martin ran, which coincided with Zimmerman’s comments to 911 in which he said the suspicious man was running, Crump said. “Then she hears (Martin) say, ‘Why are you following me?’ and another voice say, ‘What are you doing in the neighborhood?’ ” Crump said. The girl told Crump she then thought she could hear Trayvon was pushed and she heard a brief altercation, then the line went dead. 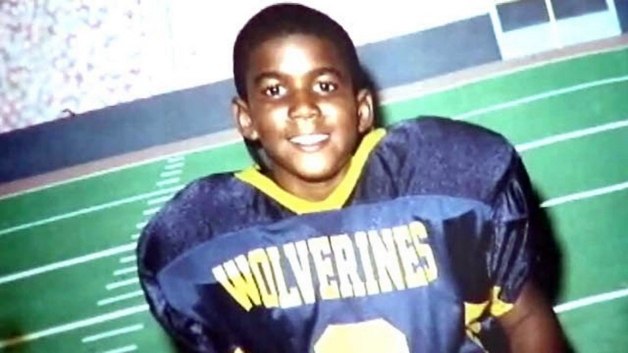 “This claim that Trayvon Martin was the aggressor is preposterous,” the attorney said. Crump has questioned Sanford police actions after the shooting, noting that police did not run a blood-alcohol test or a background check on Zimmerman, but they ran both on Martin after he died. He said police took Zimmerman’s word without conducting a thorough investigation. Tracy Martin says he wants Zimmerman arrested and tried in court. The decision not to arrest Zimmerman was made by the responding officer who released the gunman after he claimed to have acted in self-defense, Sanford officials said Tuesday. It was only after a growing public outcry expressing a lack of confidence in the police department’s actions that city leaders called on the Justice Department to review the shooting, City Manager Norton Bonaparte and Mayor Jeff Triplett said. Triplett said the Justice investigation would review all aspects of the case, including the police response and the decision not to arrest Zimmerman. Bonaparte acknowledged Zimmerman was part of a network of local Neighborhood Watch groups trained by the Sanford Police Department and urged “not to engage” possible suspects or people they encounter. Brown said she was “not satisfied” with the initial handling of the case, agreeing that Zimmerman was not tested for possible substance abuse immediately after the incident and lamenting that proper steps were not taken to preserve possible evidence at the scene. In conversations with the Sanford police chief, Triplett said he believes the Florida law known as the “stand your ground” statute, which provides a broader interpretation of self-defense, played a role in the decision not to arrest and charge Zimmerman. The law allows the use of force if the person “reasonably believes” it is necessary to protect the person’s own life, or the life of another or to prevent a forcible felony. In the wake of Martin’s death, the law is getting a second look. State Sen. Oscar Braynon, who represents Miami Gardens where the teen lived with his mother, called for hearings or a select committee to clarify what constitutes self-defense under the law. He said that since the law was enacted in 2005, the number of justified homicides in the state has skyrocketed. In 2005, there were 43 such cases; in 2009, the last complete year available, there were 105, Braynon said. Public activism has played a pivotal role in bringing national attention to the case and ultimately leading to a top-to-bottom review of what happened that day. A wellspring of social media grew by the day and became relentless, demanding that the spotlight return to Sanford. It’s the only way to galvanize people in such cases, says Neal, the Duke professor. “If folks aren’t on Twitter tweeting stories and giving particular testimonies; if you don’t have artists doing videos on YouTube talking about what Trayvon might have experienced … I don’t think we get a moment where suddenly the Justice Department is saying we need to investigate this case,” Neal says. Change.org spokeswoman Brianna Cayo Cotter said the petition calling for prosecution of Zimmerman was drawing the second-highest amount of traffic to the site since a petition was launched for Kyleigh’s Law, a measure passed in New Jersey in 2010 that requires drivers younger than 18 with permits or probationary licenses to display special decals on their vehicles. Kyleigh D’Alessio was 16 when she died in a 2006 car crash. “We are seeing unprecedented traffic on our website,” Cayo Cotter said. The attention is also focusing on the town of Sanford, which has a history of racial tensions. The Jena 6 were black teens initially charged in 2006 with attempted murder for beating a white schoolmate in the town of Jena, La. After a national outcry, community rallies and online petitions, the charges were reduced. Every few days during the trial of Raj Rajaratnam, the Galleon Group’s co-founder, Preet Bharara, the United States attorney for the Southern District of New York, would quietly enter the courtroom and take a seat in the last row of the gallery. From that unassuming vantage point, Mr. Bharara watched his colleagues try to persuade a jury to convict the former hedge fund titan of securities fraud and conspiracy. The consistent presence of Mr. Bharara at the largest insider trading case in a generation — and the office’s resounding victory on Wednesday — signaled that the chief federal prosecutor in Manhattan was back as the sheriff of Wall Street. Over the last decade, the New York attorney general, federal prosecutors in Brooklyn, the Manhattan district attorney and even the Justice Department in Washington angled for their share of financial fraud cases, an area traditionally dominated by the Southern District. For example, Eliot Spitzer grabbed headlines when he was New York attorney general by focusing on malfeasance at investment banks. But Mr. Bharara has not-so-quietly reaffirmed his office’s leading role in pursuing corporate crime with this landmark insider trading case, which relied on aggressive prosecutorial methods and unprecedented tactics. For the first time, federal authorities used wiretaps to listen in on stock traders swapping illegal tips. It has been 21 months since Mr. Bharara, 42, was appointed United States attorney by President Obama. In that short tenure, his staff has ventured far beyond Wall Street, prosecuting some of the nation’s — and the world’s — most prominent defendants. Among them: Faisal Shahzad in the Times Square bomb plot; agents in a Russian spy ring; Ahmed Khalfan Ghailani, the first Guantánamo Bay detainee to be tried in the civilian system; Viktor Bout, a Russian accused of being an arms trafficker; a Somali man charged with piracy; and four men charged in a plot to bomb synagogues in the Bronx. Not every case has gone smoothly. In Mr. Ghailani’s trial, the jury acquitted him of more than 280 counts of murder and conspiracy and convicting him of a single count of conspiracy to destroy government buildings and property. Nonetheless, Mr. Ghailani received a life sentence. Some academics and newspaper columnists have also criticized Mr. Bharara for not filing criminal charges against senior executives at the center of the financial crisis. Last week, when his office filed a civil mortgage-fraud lawsuit against Deutsche Bank, he said there was not enough evidence to justify a criminal complaint. Mr. Bharara was an infant in 1970 when he came to the United States from India with his parents. He grew up in Eatontown, N.J., and earned degrees from Harvard and Columbia Law School. 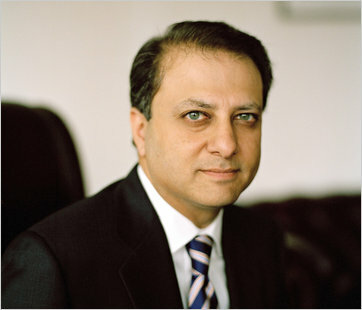 After several years in private practice, including a stint at Gibson Dunn & Crutcher in New York, Mr. Bharara became a federal prosecutor in Manhattan, handling organized crime, narcotics and securities fraud cases. In 2005, he became chief counsel to Senator Charles E. Schumer of New York, leading a Congressional inquiry into the firings of United States attorneys. “Greed, sometimes, is not good,” he said. Unlike Mr. Giuliani, whose political ambitions seemed barely hidden while he led the prosecutor’s office, Mr. Bharara has told friends he has no interest in elected office. Mr. Bharara has not commented publicly on the Rajaratnam verdict, other than a short statement in a news release. But in a series of speeches, he has explained his aggressive approach to corporate crime. “When sophisticated business people begin to adopt the methods of common criminals, we have no choice but to treat them as such,” Mr. Bharara said weeks after revealing the use of wiretaps in building a case against Mr. Rajaratnam. “To use tough tactics in these circumstances is not being heavy-handed; it is being even-handed.” He has taken that approach in other areas of financial crime. His office secured convictions in two high-profile criminal cases against bank executives accused of stealing proprietary computer code related to high-frequency trading businesses, including a case against a former programmer at Goldman Sachs. More recently, Mr. Bharara’s prosecutors charged the operators of three popular online poker sites with fraud and money laundering. And Mr. Bharara continues to pursue insider trading cases. Over the last 18 months, his office has charged 47 individuals with insider trading crimes, 36 of whom have pleaded guilty or been convicted. At a recent news conference, he indicated there was more to come. Three suspected al-Qaida members were arrested Thursday for what Norwegian and U.S. officials said was a terrorist plot linked to similar plans to bomb New York’s subway and blow up a shopping mall in England. Officials believe the men were planning attacks with portable but powerful bombs like the ones at the heart of last year’s failed suicide attack in the New York City subway, an attack U.S. Attorney General Eric Holder has called one of the most serious plots since 9/11. On Wednesday, U.S. prosecutors revealed the existence of a related plot in Manchester, England. The plots underscore al-Qaida’s interest in smaller-level attacks that don’t require the intricate planning and coordination of the Sept. 11, 2001 attacks in which airplanes were hijacked and flown into the World Trade Center towers in New York City and the Pentagon in Arlington, Va. And they follow a trend in which the terrorist group has used operatives inside potential target countries, rather than trying to sneak people across increasingly secure borders. The three men, whose names were not released, had been under surveillance for more than a year. Two were arrested in Norway and one in Germany. Officials would not say what country or site was the target of the latest terror threat, or even whether they believed the men had selected a target. Those arrested in Norway included a 39-year-old Norwegian of Uighur origin who has lived in the country since 1999 and a 31-year-old citizen of Uzbekistan who had a permanent Norwegian residency permit, said Janne Kristiansen, head of Norway’s Police Security Service. The man arrested in Germany was a 37-year-old Iraqi with a Norwegian residency permit, Kristiansen said. Norwegian and U.S. officials believe the Norway plan was organized by Salah al-Somali, al-Qaida’s former chief of external operations who is in charge of plotting attacks worldwide. Al-Qaida usually keeps its plots compartmentalized, and officials do not believe the suspects in Norway knew about the other plots. The officials spoke on condition of anonymity because they were not authorized to discuss the case. Al-Somali, who was killed in a CIA drone airstrike last year, has been identified in U.S. court documents as one of the masterminds of the New York subway plot. Two men have pleaded guilty in that case, admitting they planned to detonate explosives during rush hour. A third man awaits trial. Officials said the men were attempting to make peroxide bombs, the powerful homemade explosives that prosecutors say were attempted in both New York and England. Norwegian and U.S. officials said it was unclear whether the men ever perfected the recipe for the bomb and said investigators had contained the plot. “According to our evaluation, the public has never been at risk,” Kristiansen said. The Associated Press learned of the investigation in recent weeks and approached U.S. and Norwegian officials. Authorities told the AP that reporting on the case could jeopardize public safety and allow dangerous suspects to go free. The AP agreed not to report on the investigation until arrests were made. U.S. and Norwegian counterterrorism officials worked closely together to unravel the Norwegian plot, officials said. Kristiansen traveled to the U.S. this spring to discuss the closely held intelligence gathered in the case. 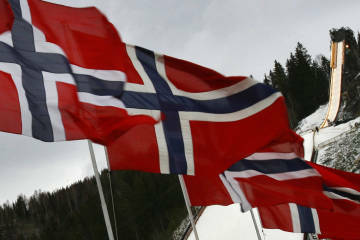 Norwegian Prime Minister Jens Stoltenberg urged Norwegians not to judge large groups of people because of the arrests. Even though it was not clear if Norway was a target, Al-Qaida’s No. 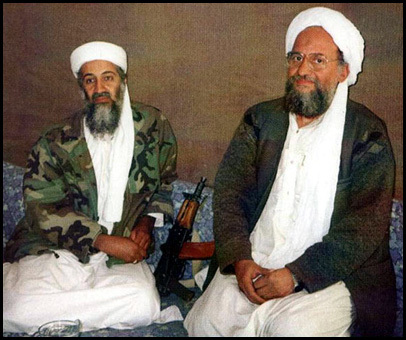 2 leader, Ayman al-Zawahri, has called for attacks on Norway, among other countries. Magnus Norell, a terrorism expert at the Swedish Defense Research Agency, said Norway’s 500 troops in Afghanistan could be a factor, as could the 2006 controversy sparked by a Danish newspaper’s publication of 12 cartoons depicting the Prophet Muhammad. Norell said the controversy has extended to neighboring Norway and Sweden after newspapers there republished the cartoons and later published similar cartoons. Images of Muhammad, even favorable ones, are considered blasphemous by many Muslims. British police and security officials have never provided details of the alleged target of the purported English plot, but said it was likely focused on a major shopping center in northern England. Media speculation centered on Manchester’s Arndale shopping center. A judge said last year the gang was plotting a “mass casualty” attack in northern England.